We welcome images of children and young people engaged in educational activities. Example activities include matching pictures or sight words, practising speech sounds or words, signing, learning vocabulary, counting, playing memory games, learning letter sounds, reading and writing, or learning sentences and grammar. 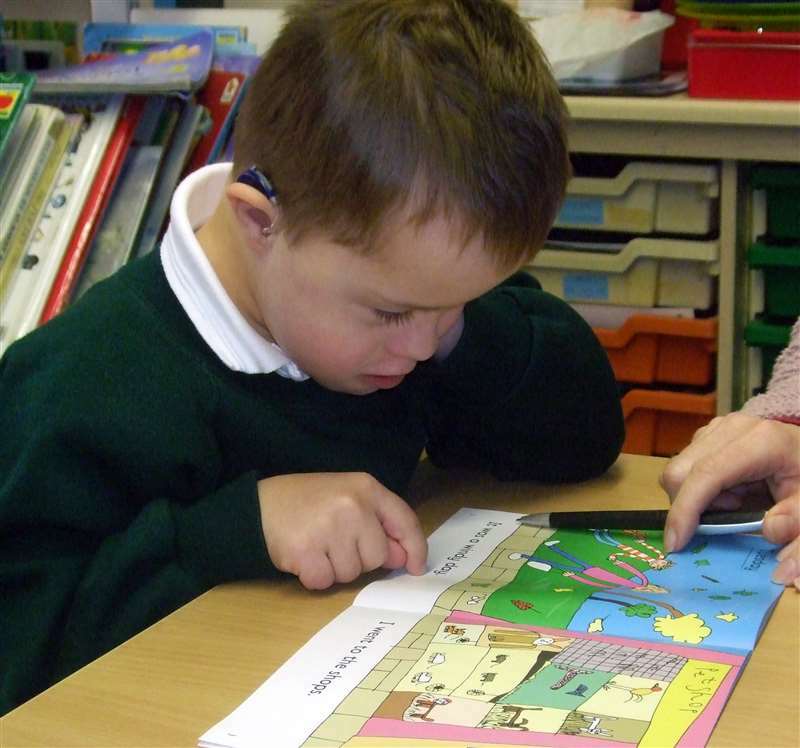 These might include activities using our See and Learn kits and apps, or activities as part of the Reading and Language Intervention for Children with Down Syndrome (RLI), but we would also like a wide range of other teaching examples. We also welcome images of children and young people playing and communicating in everyday situations. When you contribute your photographs or video clips, we ask you to assign Down Syndrome Education International a perpetual, worldwide licence to use, host, store, reproduce, modify, create derivative works, communicate, publish, publicly perform, publicly display and distribute your contributions. Please ensure that you have the necessary rights to grant this licence for all content that you submit.